It's a bit of a blogger cliché to fawn over pretty pink cocktails in repurposed glassware, but a few recent cocktail-bar catchups with my Scottish blogger pals has tipped me right back into the sugary sweet world of martini's and margaritas! Inspired by travel company Hayes and Jarvis' recent survey of the UK's favourite cocktails (the piña colada was, surprisingly, number one! 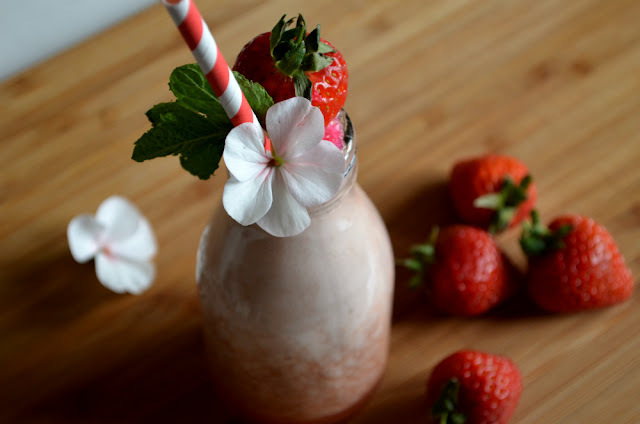 ), I thought I'd share a recipe for one of my favourite cocktails. 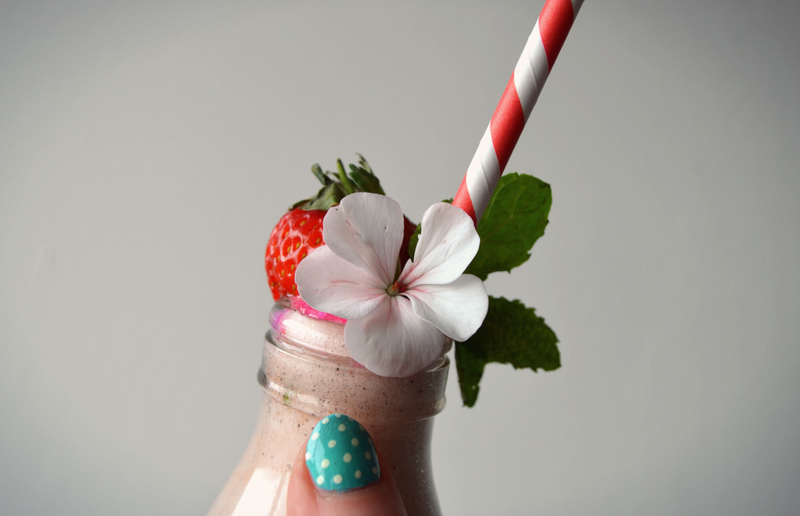 This is a summery, fruity treat (and it also looks super cute served in a mini milk bottle). Put everything in a blender (I used my nutribullet) and mix until the frozen fruit is all broken up. Garnish with a strawberry and a sprig of mint. Stripy straws and cute mini flowers are not necessary, but they do make for a good instagram! Enjoy!